Today, Bethenny Frankel - creator of Skinnygirl Cocktails, talk show host and best-selling author - made her first ever public appearance in Australia today at the Wild Life Sydney Zoo. Bethenny took the opp to get to know Australia’s furry friends, including her first koala encounter, while in the country for the Skinnygirl Cocktails promotional tour. Bethenny is a talk show host of her new show ‘Bethenny’ which will air in Australia in Autumn 2013, a four-time New York Times bestselling author of ' A Place of Yes', 'Naturally Thin', 'The Skinnygirl Dish, and her novel, 'Skinnydipping', is the founder of the Skinnygirl empire which includes cocktails, shapewear, fitness DVDs, work out equipment and nutritional bars and supplements. If you're a reality TV devotee, you would've seen the whole inception of Bethenny's dream come to fruition, and cheered her on in the process. You kinda can't help but do that with Bethenny - you want to wish her well. She's worked damn hard at it. Bethenny has come to Australia for the first time to spread the word about Skinnygirl Cocktails, the popular range of ready-to-serve cocktails she created for women who want a low calorie and convenient option when drinking cocktails at home and with friends. The Skinnygirl range of cocktails, which includes Skinnygirl Margarita (I am sold on this one), and the White Cranberry Cosmo (yum, can't wait to trial this one), which contain fewer than 100 calories per 100ml serve. This trip is a whirlwind one - Bethenny will enjoy a sightseeing tour around Sydney including a Harbour Bridge climb, host an exclusive party in front of the Sydney Opera House and hold a bottle signing session for her most loyal Skinnygirl Cocktail fans. The Sydney Opera House event - I am thrilled to be joining Bethenny for that one. Not only do I love the story behind her meteoric rise, I'm a huge fan of who she is - and it's hard not to be impressed with what she's acheived. “It was only last year that Skinnygirl Margarita and White Cranberry Cosmo were launched into the Australian marketplace, and I’ve been so inspired by how quickly Australians have embraced our delicious low cal, ready-to-serve cocktails. I’m here to say, ‘Thank you!’” said Bethenny. As well as being the Founder of Skinnygirl, Bethenny is also a natural foods chef and self-made businesswoman and entrepreneur. Bethenny appeared on the Bravo series 'The Real Housewives of New York for three seasons. Emerging as the breakout star with a great deal of dedicated fans, this led Bravo to create a spin-off series, 'Bethenny Getting Married? ', which had the highest rated series premiere in Bravo history, and continued with 'Bethenny Ever After…', which aired for an additional two seasons. 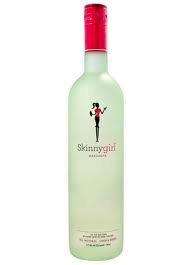 The Skinnygirl Cocktail range was then bought by Beam Inc. in 2011, with the company retaining Bethenny as a spokesperson and ambassador for the brand. Skinnygirl Cocktails are available at select liquor outlets: RRP $24.99 per bottle. Are you a fan? Of both Bethenny and the drinks?